*Available on LX, EX, EX-T, EX-L. Standard on Touring. **28 city/40 highway/32 combined mpg rating for LX model with 6-speed manual transmission. 31 city/40 highway/34 combined mpg rating for LX & EX CVT models. 31 city/42 highway/35 combined mpg rating for EX-T model with 6-speed manual transmission. 32 city/42 highway/36 combined mpg rating for EX-T, EX-L and Touring CVT models. Based on 2018 EPA mileage ratings. Use for comparison purposes only. Your mileage will vary depending on how you drive and maintain your vehicle, driving conditions and other factors. 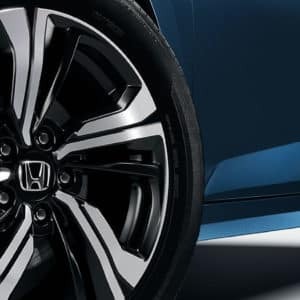 The 2018 Civic Sedan features aggressive lines and refined features that make the car stand out from the crowd. 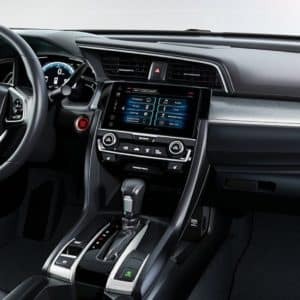 The interior is the most comfortable of any previous Civic. Offering seating for five and all the interior space you'll need to pile in with your friends. 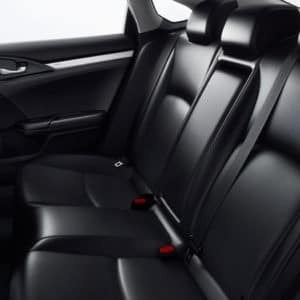 And with 60/40 split fold-down rear seats and a spacious trunk, Civic Sedan offers plenty of cargo options. 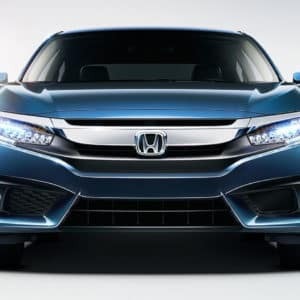 "A perennial best-seller, the roomy and fuel-efficient 2018 Honda Civic has become the benchmark for the compact class." 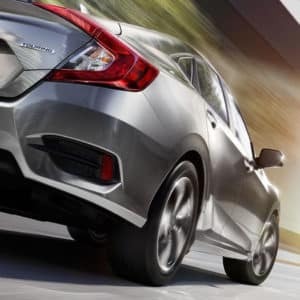 "The iconic Honda Civic epitomizes compact-car excellence with its mix of practicality and a fun-to-drive personality." 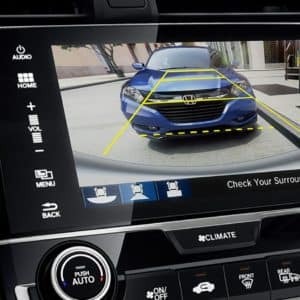 Honda Sensing is our exclusive intelligent suite of safety and driver-assistive technologies designed to alert you to things you might miss while driving.